Avtodor Saratov defeated PARMA Perm at home, 93-76 (25-16, 26-26, 23-17, 19-17). 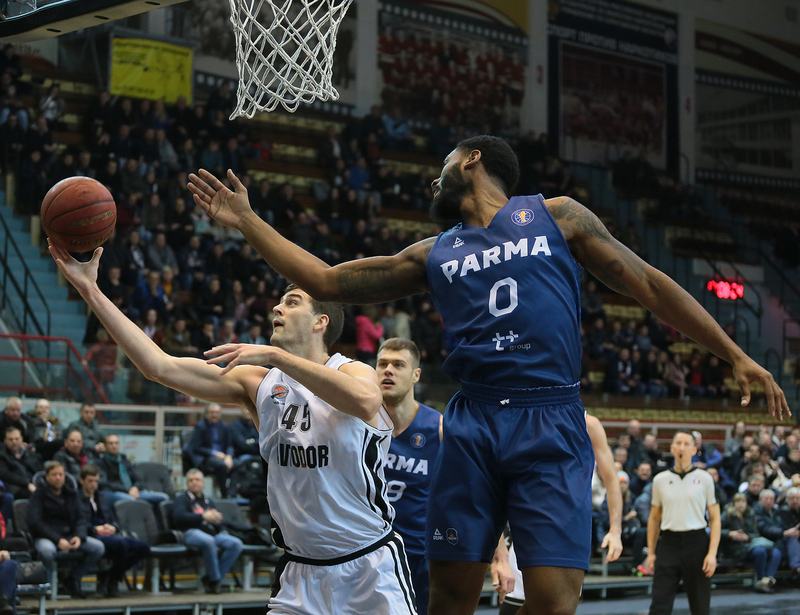 Avtodor picked up its fourth win in five games, dominating PARMA in a 93-76 win at home. Saratov was led by 23 points from David Kravish, while Trae Golden recorded a double-double (12 points and 10 assists). The Volga club is now 6-6, back at .500 for the first time since early November. The home team was in control from start to finish, trailing only briefly 3-2 after an Eigirdas Zukauskas triple in the 1st quarter. A 9-0 run sparked by seven points from Kravish gave Avtodor an early double-digit lead (16-5). The American forward finished the period with 11 points, staking his team to a 25-16 advantage. PARMA played its best basketball in the 2nd quarter, matching Avtodor’s high-powered offense with 26 points. Ivan Lazarev, who scored a team-high 15, poured in eight early in the period, but Saratov always had an answer. Despite briefly cutting the deficit to five, PARMA wasted Lazarev’s breakout quarter and headed into halftime down nine, 51-42. The home team began to pull away midway through the 3rd quarter. With PARMA lurking, 55-48, after a Kodi Justice 3-ball, Avtodor went on a 13-2 run to jump ahead by 18. PARMA didn’t quit, clawing back to within nine, 82-73, thanks to a couple of Janis Blums’ triples. But it was too little too late. Boris Savovic slammed the door shut for Avtodor, scoring six unanswered as Saratov went on to secure its sixth win of the season. 44 – number of points scored by Avtodor in the paint (Perm scored 22).